Spring is here or at least is here for some of us. While it might sound wonderful, the truth is that in my neck of the woods we did not have enough rain this winter so water rationing is on the horizon. This has affected my plans for a summer garden, of course, and I've been researching plants that are water-wise. While perusing the offerings at the local nursery, the boychild found one plant he could not live without. He didn't want it because of how it looked. He wanted it because it's called a Hobbit. 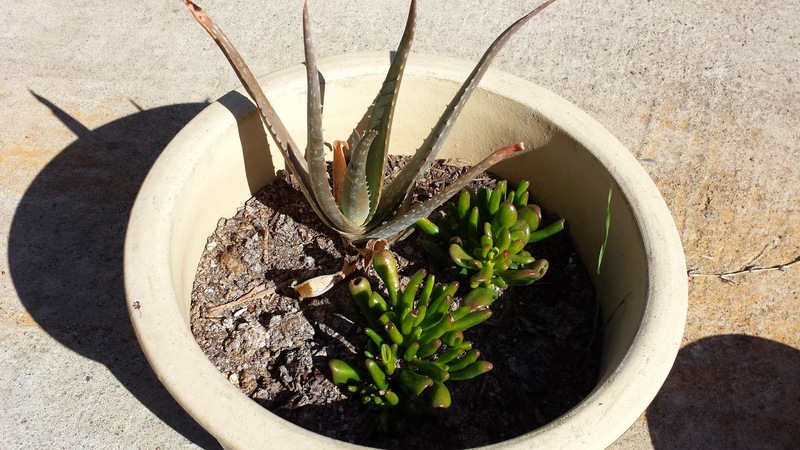 Putting them in pots makes it easier to move them in winter - they don't do well with frost. No, they didn't come with the One Ring and no wizards have been setting off fireworks or trying to coerce me into going on an adventure. 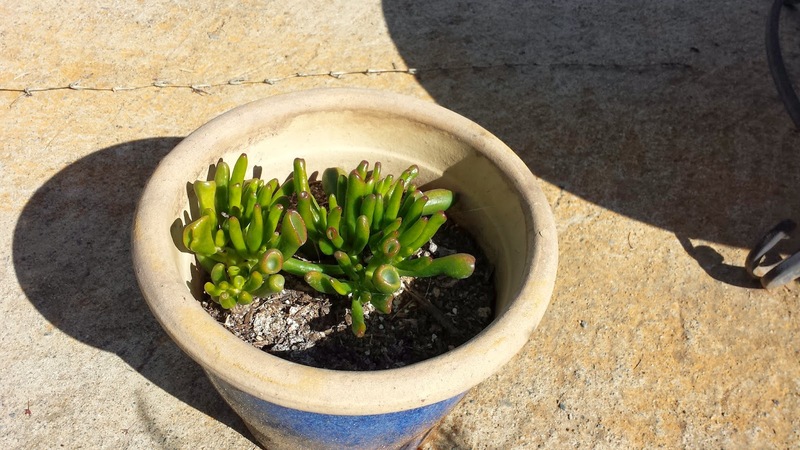 Crassula ovata is a type of jade and like other succulents does very well with little water. If you are not the most attentive gardener, might I suggest trying something like the Hobbit or other succulents. So far they seem to be happy. Luckily for these little guys, if I forget to water them for a while, they actually do better. These Hobbits made friends with the aloe. For info on caring for Hobbit succulents try: World of Succulents. You never know, someday they could morph into short dudes with hairy feet and sweep you off on an adventure. The possibility makes caring for it infinity more appealing.